The Guide to Mysterious Arran, Scotland. This is a guide to everything supernatural, paranormal, folkloric, eccentric and, above all, mysterious that has occurred on the small, windswept isle of Arran and is a fascinating introduction to the heritage of this spectacular part of Scotland. This is a guide that the armchair adventurer or the on-location visitor can revel in. Comprehensive entries covering Arrans standing stones, ruins, churches, tombstones and archaeological curiosities are complemented by more than 100 photographs. The book also includes notes and cross-references to enable the reader to follow up the sources. 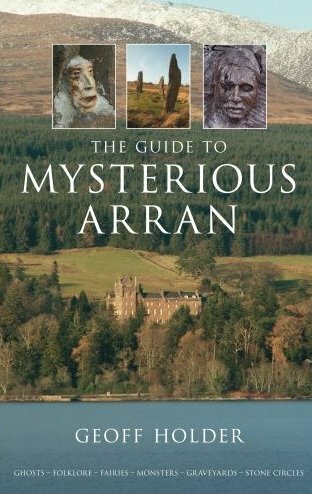 The Guide to Mysterious Arran .